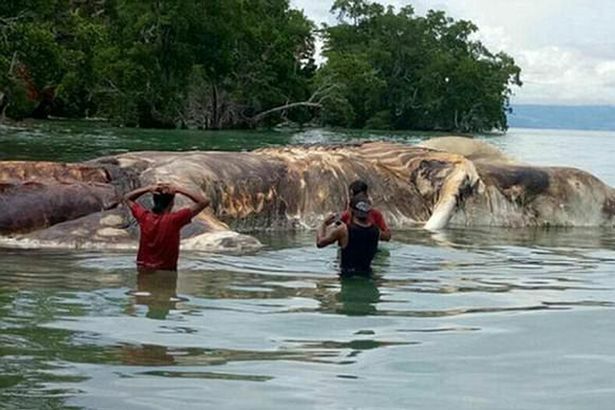 A mysterious creature has washed up on the shore of a remote Indonesian beach. Locals believe it has been dead for at least three days, but so far no one has been able to identify it. The creature was initially mistaken for a boat because of its gigantic size. It is thought to measure 15 metres in length. According to the Jakarta Globe , the carcass was found by 37-year-old local resident Asrul Tuanakota. He discovered it on the northern shore of Seram Island in Maluku province, Indonesia. 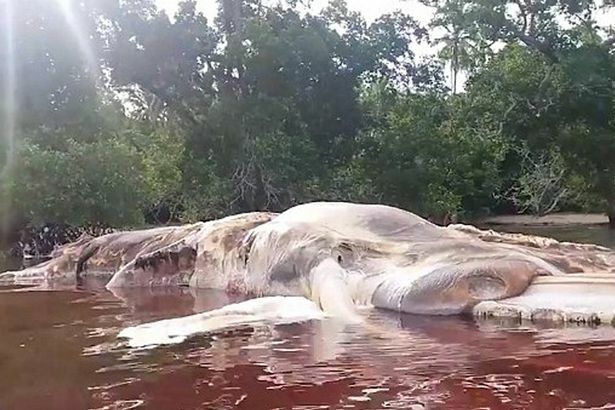 Although no-one has been able to identify the creature, some are speculating it is the remains of a whale or even a mythical giant squid. The locals have called on marine experts to help them identify the creature. It is decaying by the day and turning the water around it red. Villagers have also requested the government to come and remove it as the stench is worsening. Earlier this year a woman in Chile came across a sea creature that eats dead bodies from the inside out. 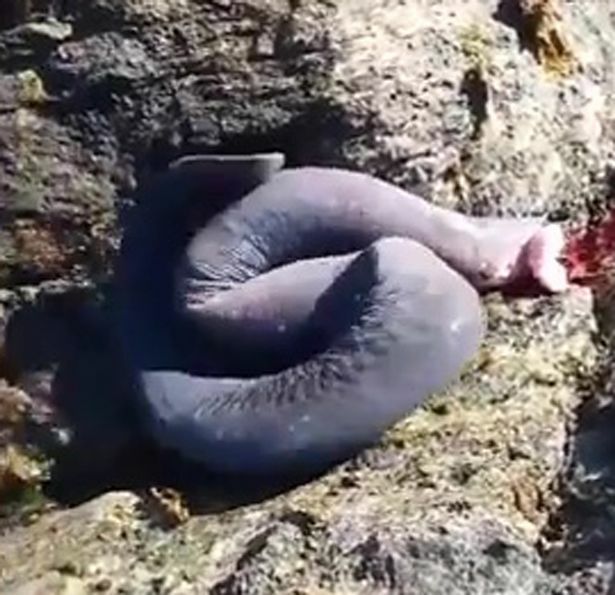 Lissete Hermosilla was walking along a beach in Tirúa, Chile when she came across the monstrous animal slithering across the rocks. She uploaded footage of it onto her Twitter account in a bid to get some answers and she was shocked when she found out what it was. 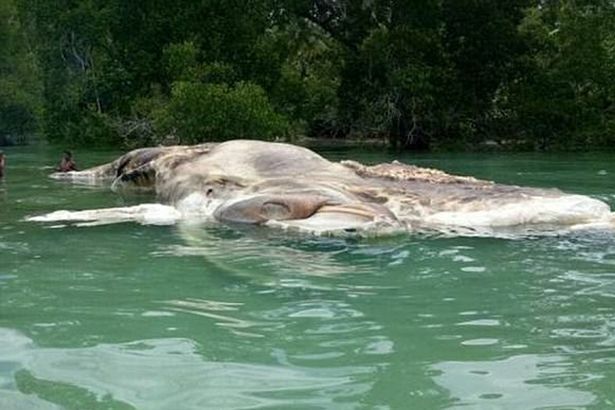 Marine biologist Cristian Ibañez from the Universidad Andrés Bello, said the creature feeds on dead animals after entering their bodies and eating them from the inside. The animal is called the Eptatretus Decatrema, colloquially known as Anguilla Babosa, and belongs to a group of primitive fish. It ranges form 20cm to 90cm. It is only found in Chile, between Caldera, Atacama and Puerto Montt in Los Lagos.